Andras Bezdek has been chosen to receive the C. Harry Knowles Endowed Professorship for 2017-2022. 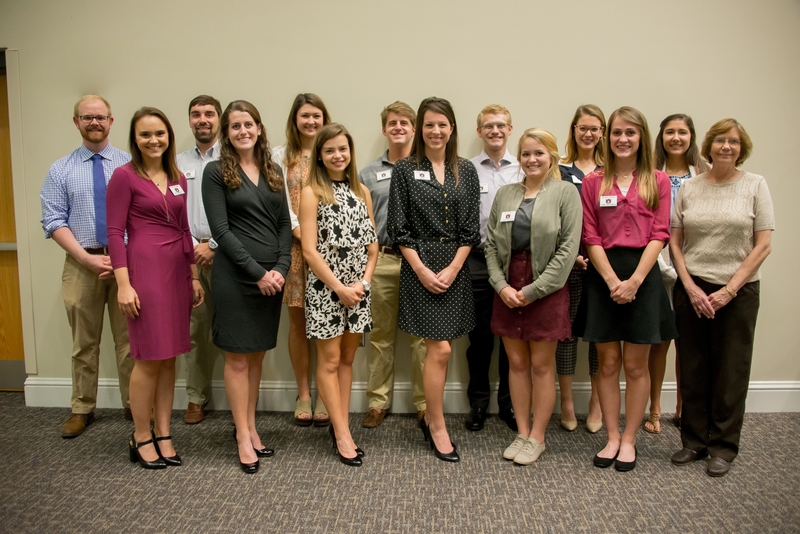 As the premier honor society for students interested in pursuing careers in the health professions, the Auburn chapter of Alpha Epsilon Delta provides an opportunity for students to become educated about the doctoral and allied health professions, from the responsibilities and daily routine of various health care providers, to how to become a competitive applicant to professional schools. In addition, Alpha Epsilon Delta strives to promote a service-oriented atmosphere among its members and encourages students to engage in various community service and volunteer activities. 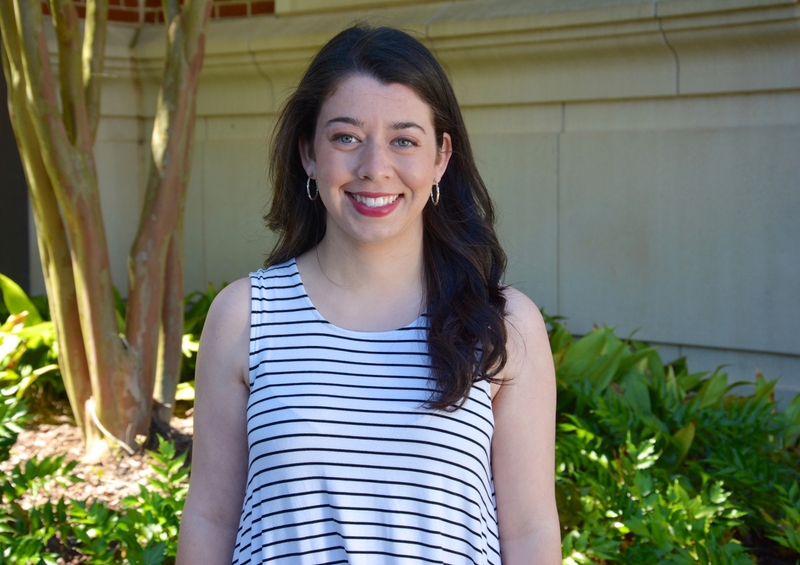 For COSAM Graduation Marshal Abigail Gauthier, a double major in biomedical sciences and Spanish, meeting the healthcare needs of the Hispanic population is both a goal and passion. Dr. Ziqin Feng was awarded an NSF grant of $12,000 for a 3-day Topology conference. The conference will be held on October 20-22, 2017, at Auburn University. The main goal of the proposed conference is for the advancement of research in topology and outreach in mathematics, with specific emphasis on set-theoretic topology. There will be 3 one-hour long plenary talks, 18 half-hour talks, and a problem session. The conference is timed to occur around our colleague Dr. Gary Gruenhage's 70th birthday and is intended to honor his huge contributions to topology. Kallenberg's new book Random Measures, Theory and Applications is now in print. Olav Kallenberg's new book Random Measures, Theory and Applications has now appeared. Published by Springer and containing about 700 pages of advanced mathematics, this book is an outcome of Olav's many years of hard work and dedication. The Southeastern Center of Robotics Education, or SCORE, is a new, innovative Auburn University outreach initiative sponsored by the College of Sciences and Mathematics that is designed to more effectively develop and deliver robotics education to K-12 students and teachers. SCORE is hosting several robotics summer camps on the Auburn campus, as well as in Birmingham, in conjunction with the Southern Museum of Flight. Drone Camp at Auburn University will be held June 5-8 for rising seventh- through ninth-grade students. Drone and Aviation Camp at the Southern Museum of Flight in Birmingham will be held June 27-30 for rising sixth- through ninth-grade students. Summer SCORE half-day camps at Auburn University will be held July 10-14 for rising third- through sixth-grade students. 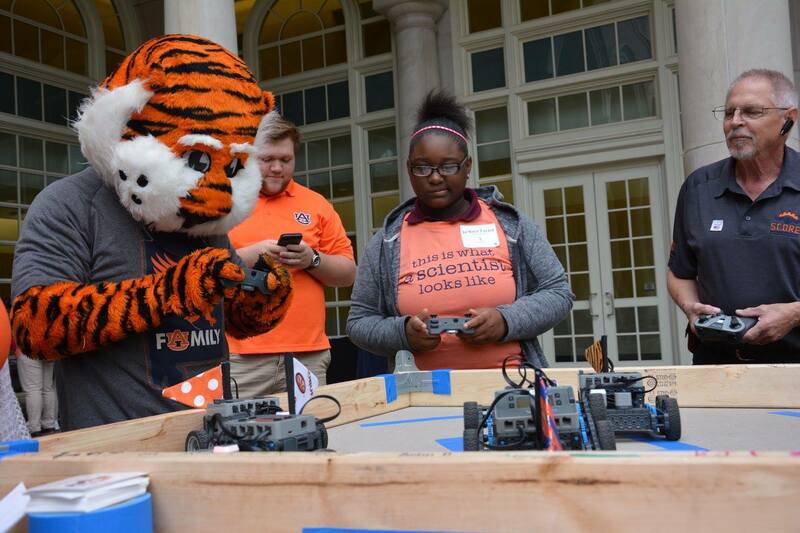 Chaotic Robotics at Auburn University will be held July 24-28 for rising seventh- through ninth-grade students. Chaotic Robotics at the Southern Museum of Flight will be held July 31 to Aug. 4 for rising seventh- through ninth-grade students. The cost to participate varies based on the camp, and a discount is offered for Auburn University employees. Registration is now open, and there are a few slots remaining. To register or find out more information about the programs, visit the SCORE website. For additional information, email Tj Nguyen at tcn0002@auburn.edu. Need a core-science credits? You can knock out both courses this summer! We are offering two options on campus to complete your core-science credits this summer. 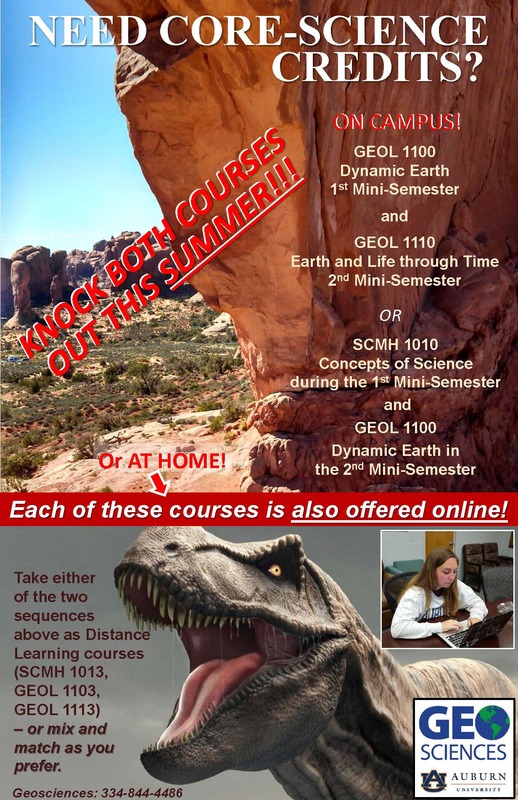 Option 1: GEOL 1100 Dynamic Earth in the 1st Mini-Semester and GEOL 1110 Earth and Life through Time in the 2nd Mini-Semester, or Option 2: SCMH 1010 Concepts of Science in the 1st Mini-Semester and GEOL 1100 Dynamic Earth in the 2nd Mini-Semester. Makki accepts a job with W.C. Bradley Co.
MS student Ms. Golbou Makki accepted a job offer as Quality Data Analyst at W.C. Bradley Co. in Columbus, GA. She will graduate this summer. 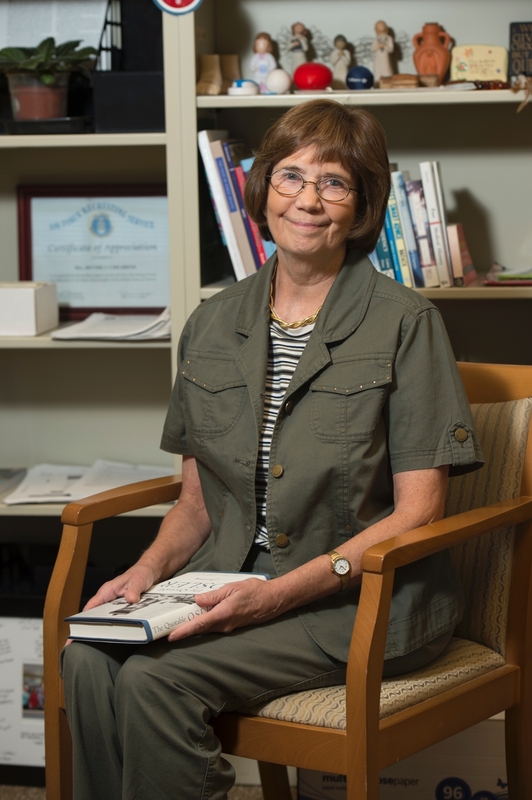 Dr. Philippe Gaillard is her major professor. Both Andras Bezdek and Tin-Yau Tam have been awarded the SEC Visiting Faculty Travel Grant award ($1,000 each) for 2017-2018. Ozbek accepts an Educator Assistant Professor position at the University of Cincinnati. Postdoc Dr. Furuzan Ozbek has accepted an Educator Assistant Professor position at the University of Cincinnati. Dr. Overtoun Jenda is her mentor. PhD student Dawit Denu has accepted a tenure track assistant professor position at Armstrong State University, Savannah, GA. Dr. Yanzhao Cao is his advisor and Dr. Maggie Han is his co-advisor. The National Putnam Mathematical Competition for undergraduate students was held on December 3, 2016. 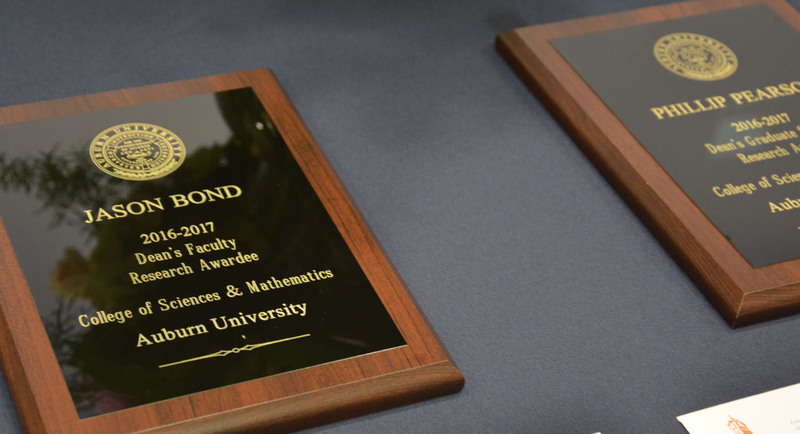 Math major Doyon Kim did the best among the contestants from Auburn. He is in the group of contestants with ranks 198-500 (no order was given within that group). The top 500 out of over 4,164 contestants from 568 institutions are listed in the Putnam report by their names and by their institutions. Doyon is the only student listed in the report from Auburn. Michael McCollough, physics ’75, ’81, an astrophysicist at the Harvard- Smithsonian Center for Astrophysics, is the keynote speaker for the annual Duncan Memorial Lecture to be held Thursday, April 20. 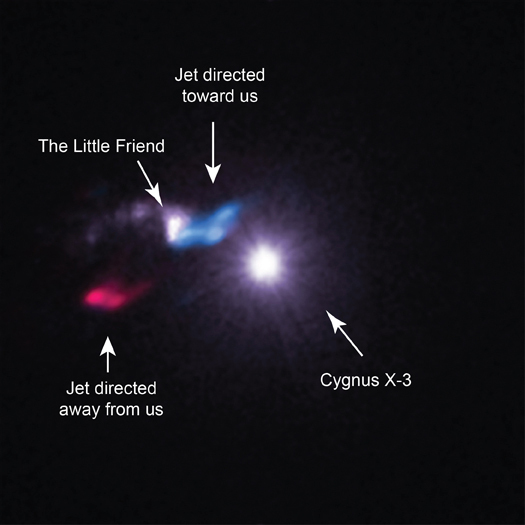 In his talk, “X-ray Binaries, Cygnus X-3, and its ‘Little’ Friend,” McCollough will discuss what happens to stars that violently die when they are part of a binary system, and he will review the stellar life cycle. Biological Sciences Professor James Barbaree passed away March 27 at the age of 76. 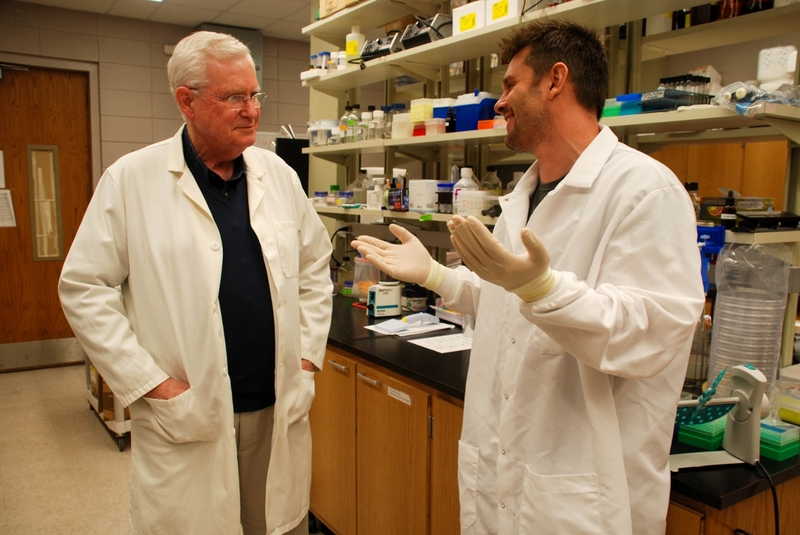 A faculty member at Auburn for more than 25 years, Barbaree served as chair of the Department of Biological Sciences from 2002 to 2008, and he taught clinical microbiology and general microbiology. He was also the associate director for research at the Auburn University Center for Detection and Food Safety, as well as an adjunct professor in the Department of Pathobiology in the College of Veterinary Medicine. The Department of Chemistry and Biochemistry and the Auburn Section of the American Chemical Society named David W. C. MacMillan, professor of chemistry at Princeton University, the recipient of the 2017 Kosolapoff Award. Mr. Italo Raony Costa Lima receives the Outstanding International Graduate Student Award for his excellence in academics, leadership, and involvement. PhD student Mr. Italo Raony Costa Lima has accepted a job offer as a Statistical Analyst in the Risk Analytics area at the First Investors Financial Services Group in Atlanta, GA. Dr. Guanqun Cao is the advisor and Dr. Nedret Billor is the co-advisor. In The Dynamics of Generic Kuperberg Flows," by Steven Hurder and Ana Rechtman Astérisque, Volume 377 (2016), published by Société Mathématique de France, "the authors study the dynamical properties of Krystyna Kuperberg's (emphasis added) aperiodic flows on 3-manifolds. They introduce the notion of a 'zippered lamination' and with suitable generic hypotheses, show that the unique minimal set for such a flow is an invariant zippered lamination. Dr. Andras Bezdek has won the 2017 COSAM Faculty Service/Outreach Award. PhD student Ms. Kat Perry accepted a postdoc position in the Department of Mathematics at the University of Denver and the position is renewable for up to three years. 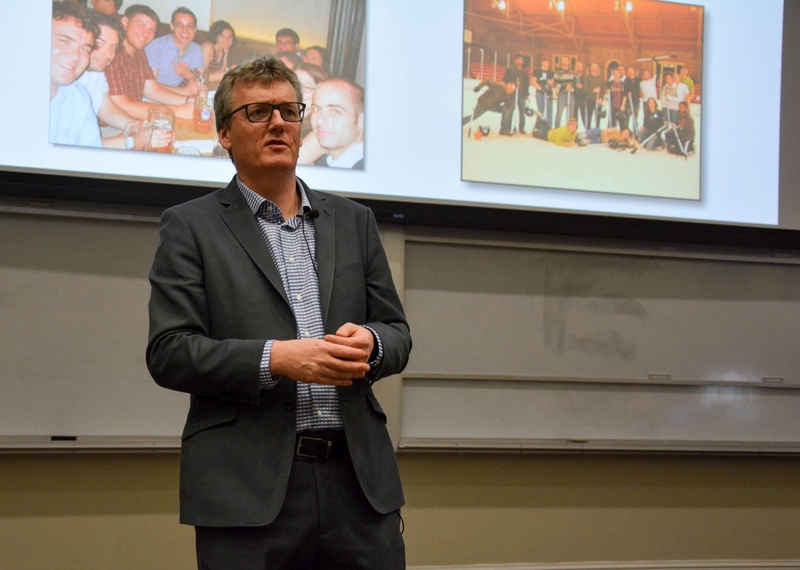 Professor Chris Rodger is the major professor of Kat.